This little monster weighs in at only half a kilo but boasts a tremendous 50 watts of power and produces serious guitar tone that rivals the sound of your favourite tube amp. Equipped with Nutube, the revolutionary new vacuum tube, the all-analogue preamp circuit preserves the richness and warmth of your guitar's natural sound, while an innovative Class D power amp provides enough volume for any environment. 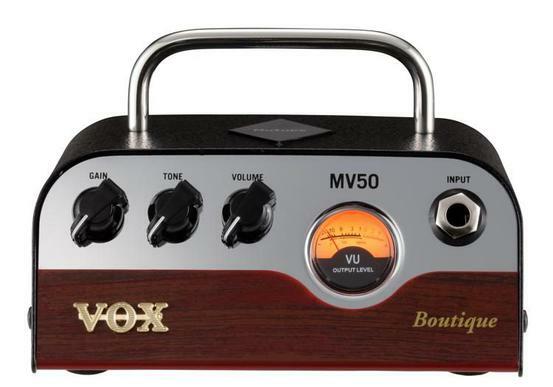 MV50-BQ distills the sound of legendary boutique amps coveted by pro guitarists covering the range from warm and clean to cutting overdrive that's ideal for expressive lead playing.